India can also be termed as the other name of tradition. History evidences that whenever it is India, there is always unity in diversity and this is reflected in each and every segment of Indian culture. No matter it is art or literature, songs or cinema Indian is always reach in tradition and ethnicity. The same is reflected in the clothing as well. If you want to know what does exact Indian ethnic fashion talk about, it is tough to answer. This is because, in India there is nothing to be called ethnic uniquely as there are huge number of people from different communities, religion and linguistic background are living together. If we talk about Indian ethnic fashion clothing, make up and the get up of people belonging from all these diversified background are to be considered. Hence, ethnic fashion is India is a broad topic to discuss. Since there is a huge multiplicity in the attire of people living in India this is why when we talk about ethnicity of Indian fashion all these dresses are counted. However, if we look at the dress for women mostly it is sari. Most of the Indian ladies as an ethnic attire put on saris since in most of the religion and community this is the main dress for the ladies. 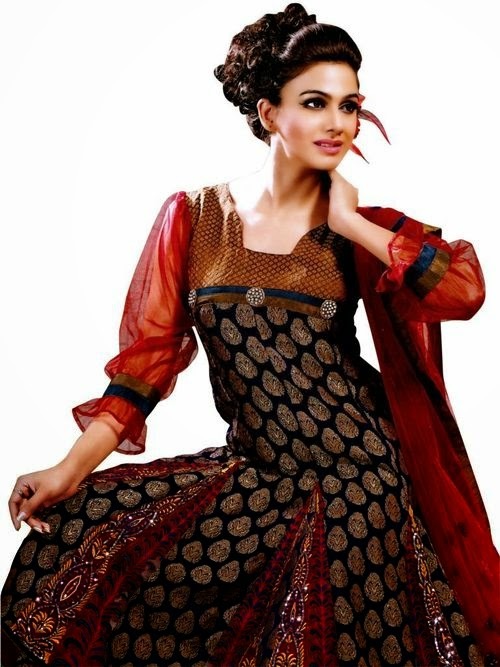 Other than sari, Salwar Kammez and Mekhla also come under the ethnic dress of India. Mekhla almost seems like a sari however, it is way different from that. It is mainly a three parted dress with a blouse, a lungi and a dupatta. The only similarity with sari is it is carried like a sari. Apart if you look at men’s ethnic attire it is Dhoti, Kurta or Kurta pajama. Pathan suit and Sherwani are two other very famous ethnic dresses for men. India has an identity when it comes to make up. It is known to the word and apart from attire it is the makeup that makes the ethnic fashion of India different from the other. There is a huge usage of ornaments in the makeup. Again in the ornaments there are few which are found to be used ordinarily like the bangles. Apart from that another very common element of ethnic makeup is Bindi which add a gigantic elegance and prettiness in the women’s look. It is not art or sculpture or the literature that reflects India’s tradition but even the fashion also carries along the heritage of the country.